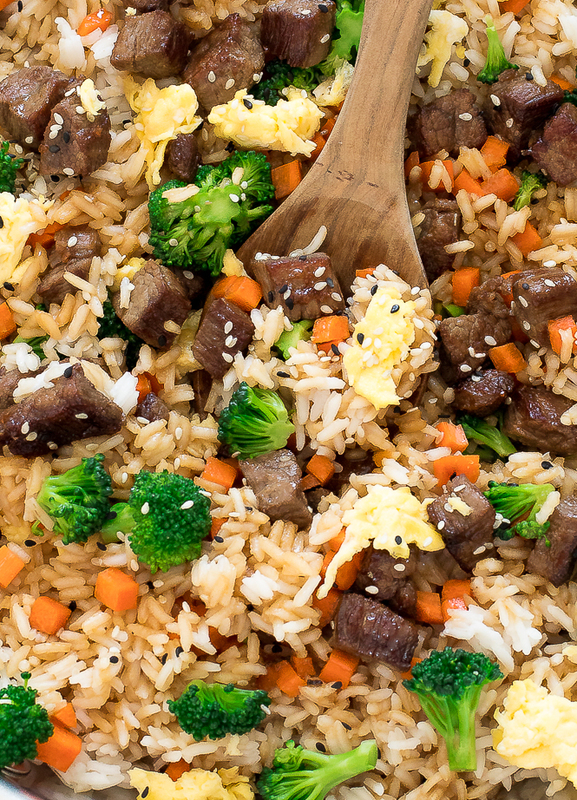 Easy Beef Fried Rice. Loaded with beef, carrots and broccoli! Ready in under 30 minutes! Beef Fried Rice is one of my favorite meals. 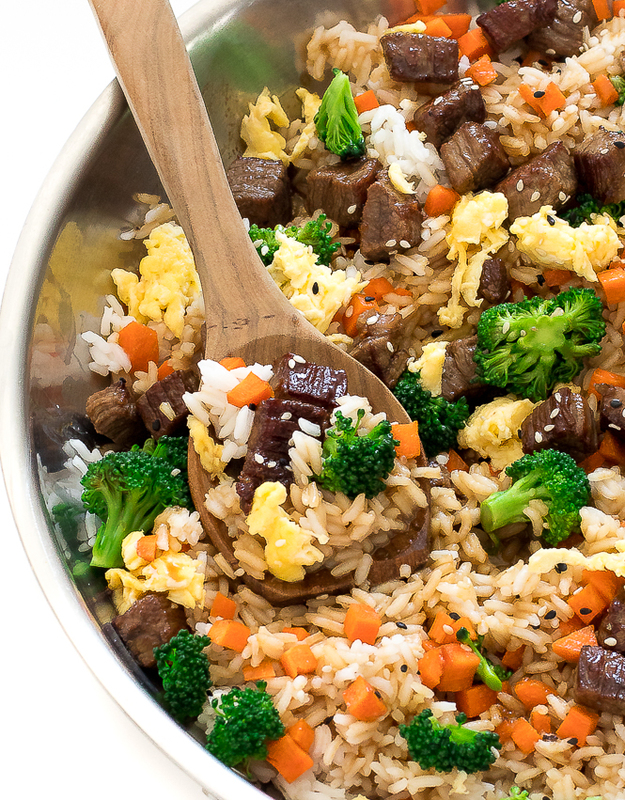 It’s an easy way to use up leftover rice and veggies that you have in the fridge. 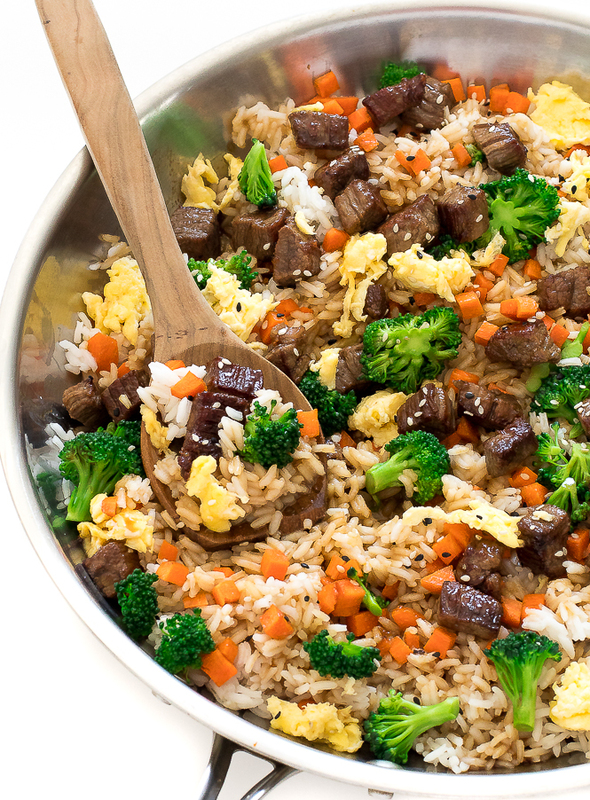 Best of all this Beef Fried Rice can be made in under 30 minutes! I loaded this fried rice with carrots, broccoli, and lots of garlic. 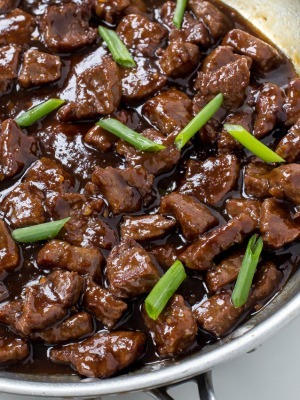 Everything gets sautéed in a large skillet along with the beef and rice. Once everything is cooked I add in my sauce: soy sauce, sesame oil and oyster sauce. Just 3 ingredients! 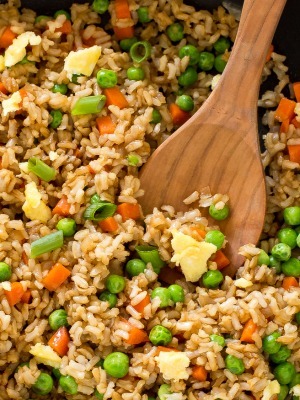 The trick to The Best Fried Rice is using cold day old rice. If you are like me and don’t always plan ahead make sure to cook your rice first and allow it time to completely cool in the fridge. Fried rice is best when it is made with cold rice. You can even cook the rice the night before. The longer the rice sits the better it tastes! Enjoy! Heat 1 tablespoon of oil into a large skillet. Add the steak and cook over high heat for 2-3 minutes, just until seared and caramelized on the outside. Remove from the pan and set aside. Add carrots and broccoli to the pan and cook until tender, 3-4 minutes. Add the eggs and the steak back to the pan and stir in soy sauce, oyster sauce and sesame oil. Cook for 1-2 minutes to heat through. 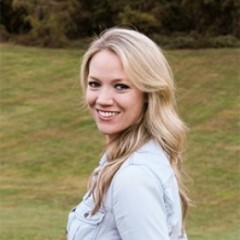 Love easy recipes! And this is a family favourite!